Huron police investigate a shooting on Tuesday, June 9, 2015. HURON, Calif. (KFSN) -- Detectives in Huron are trying to figure out who shot and killed a man. The shooting happened around 5 p.m. Tuesday near 9th and M streets. Huron police responded to the area after a report of gunshots. 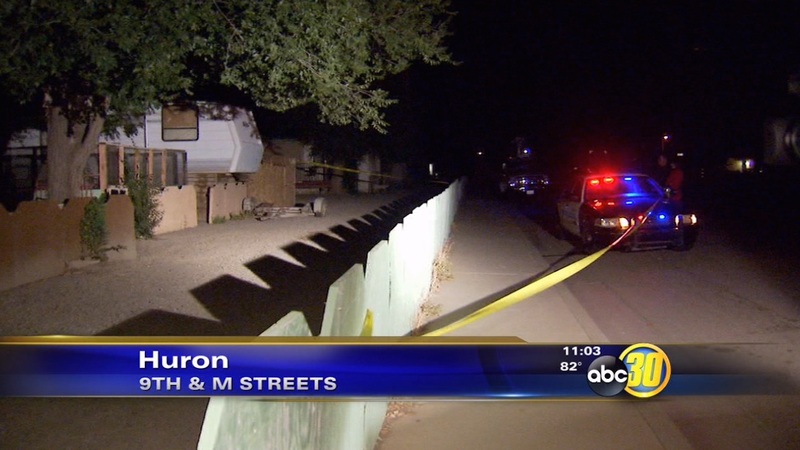 Officers found an unresponsive man with gunshot wounds near the Huron trailer court. The victim was taken to Coalinga Regional Medical Center in Coalinga, but he did not survive. The Fresno County coroner's office has identified him as 41-year-old Jose Reynosa. Investigators are following several leads and believe the victim and shooting suspect may have known each other.